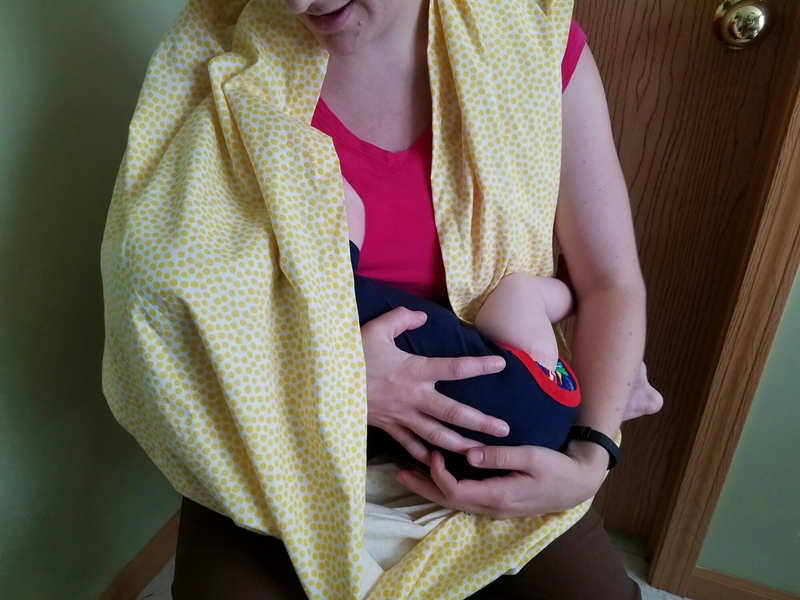 When I was pregnant I registered for a bunch of these nifty infinity scarves that double as nursing covers. So handy! I got a few (one I didn’t like the color so returned it, but kept the other) and really enjoy it. My little guy isn’t the easiest to nurse, especially in public, so ieasily appreciate the level of modest coverage this gives. 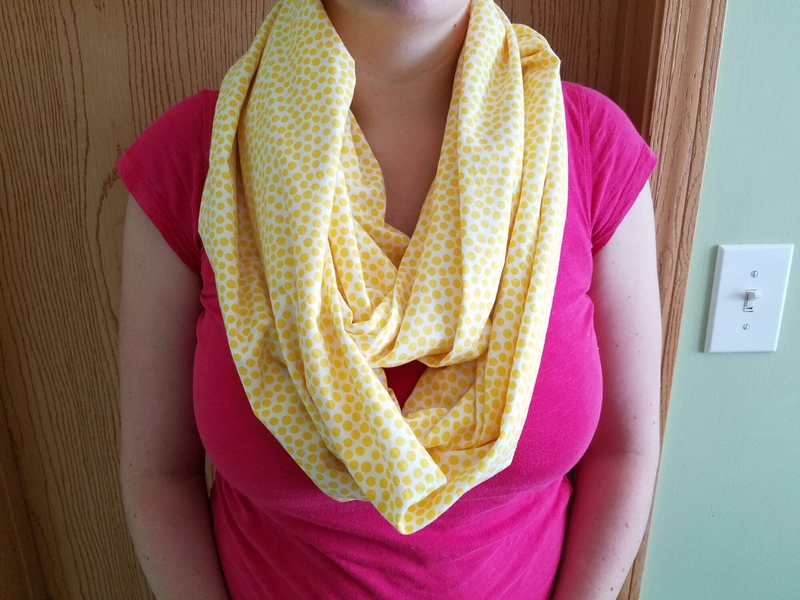 It’s easier for me to use than a traditional cover (though I did make one from this diy with a few tweaks of my own), and infinity scarves are so in right now. But, it’s getting on summer, and I thought the knit fabric might be a bit too warm (plus the one I have is grey chevron… not a very bright, happy, summer color). So I set off to make my own (I mean, who really wants to spend $25 on a scarf!). It was super easy and only took about an hour. 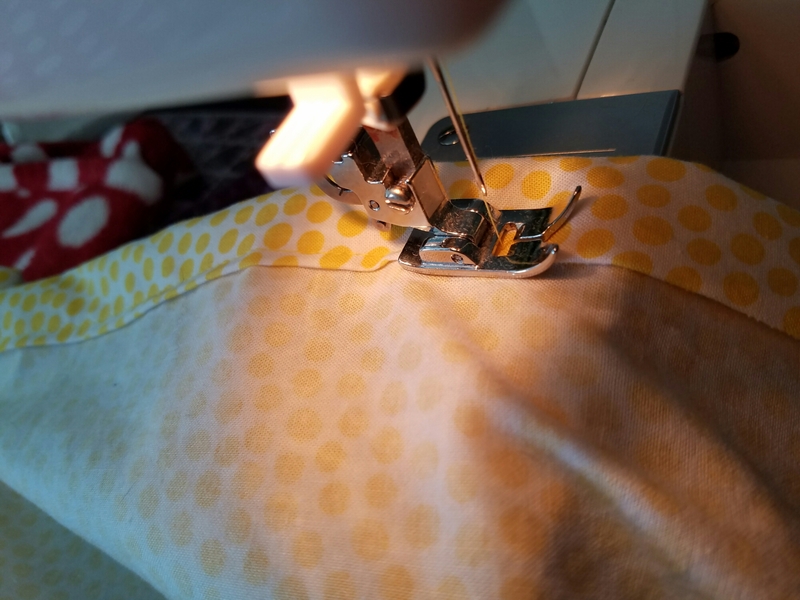 I would call it an amateur-level sewing project…nothing too tricky. 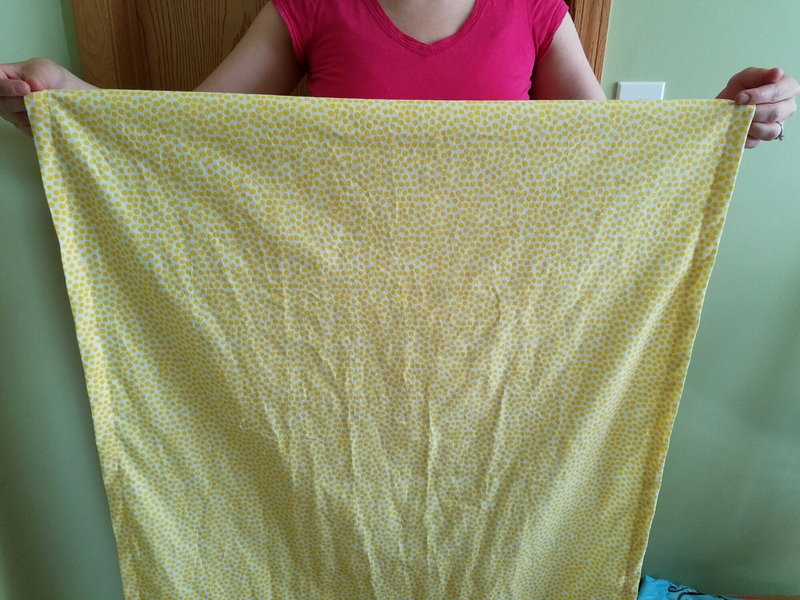 First, I picked out a cotton quilt fabric that I liked (it was on sale!) and purchased a little more than 2 yards (it was the end of the bolt, so she gave me the remnant at discount). You can choose a different fabric of you want it to lay differently or if you aren’t worried about the heat. Then I cut it down to the dimensions I wanted (32″x). 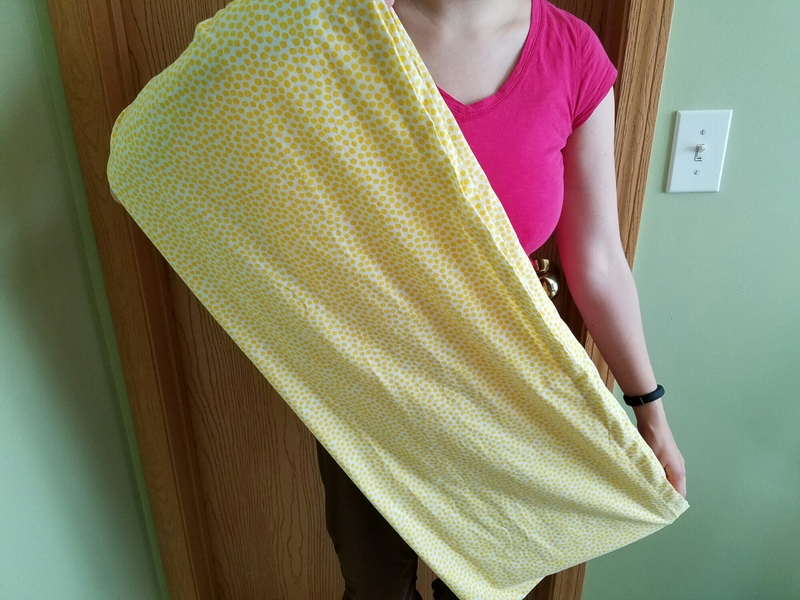 Most patterns you find online call for a shorter dimension, but I wanted it to lay a little lower on my neck line, so I made it longer. 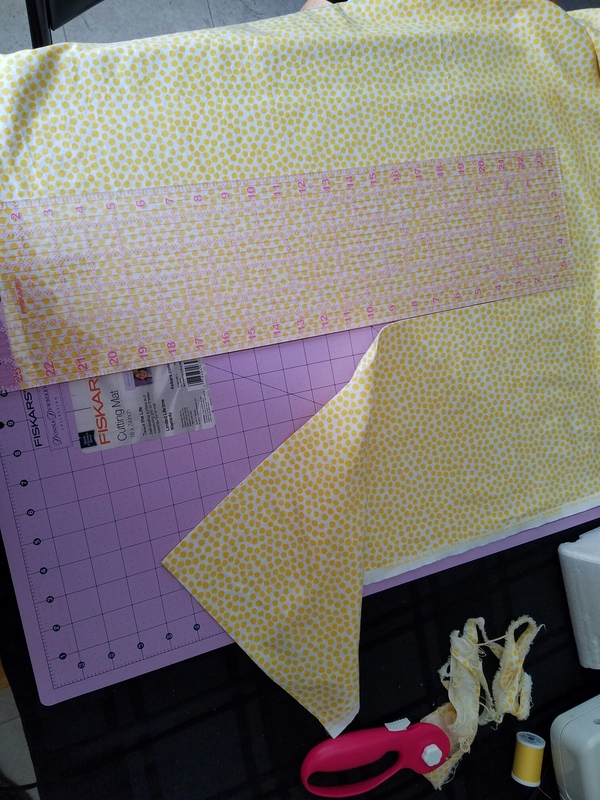 Next, I pressed a 1/2″ hem all the way around (you could also pin it, but I found ironing was sufficient). (Here I am going to amend things slightly, as I ran into a minor issue at the end and realized that this way would have been easier and prevented the error.) 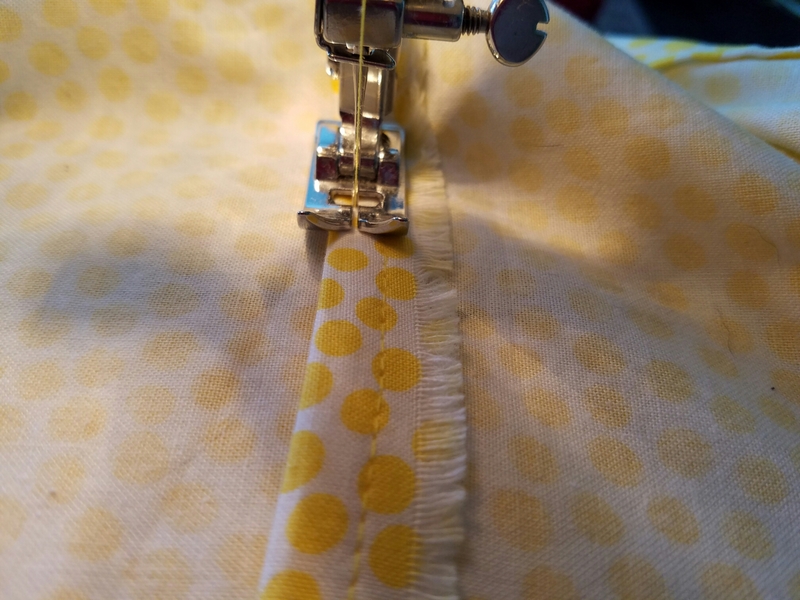 Next, with right sides together, sew the short ends together (if you are not using a surger, you can use a zigzag stitch to help prevent fraying… I kind of forgot that part until I was done). I then folded the seam to one side and sewed it down to secure it and further prevent fraying. Now go back around the iron down a 1″ hem. 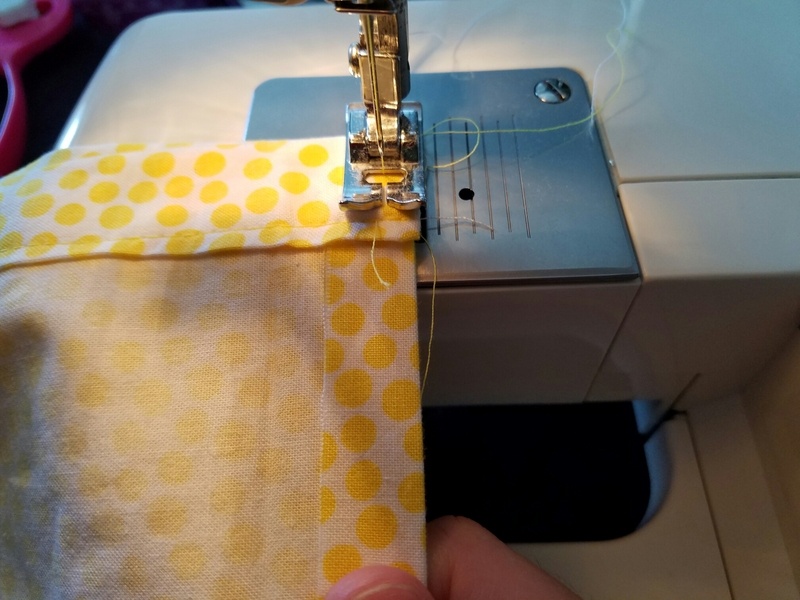 Then sew the hem down. Tada! Now you have an infinity scarf nursing cover. Fold the scarf in half inside itself (prevents it from being too bulky on your neck). Then wrap it around like any other infinity scarf. Do you have any great cover ideas for nursing in public? Please share!